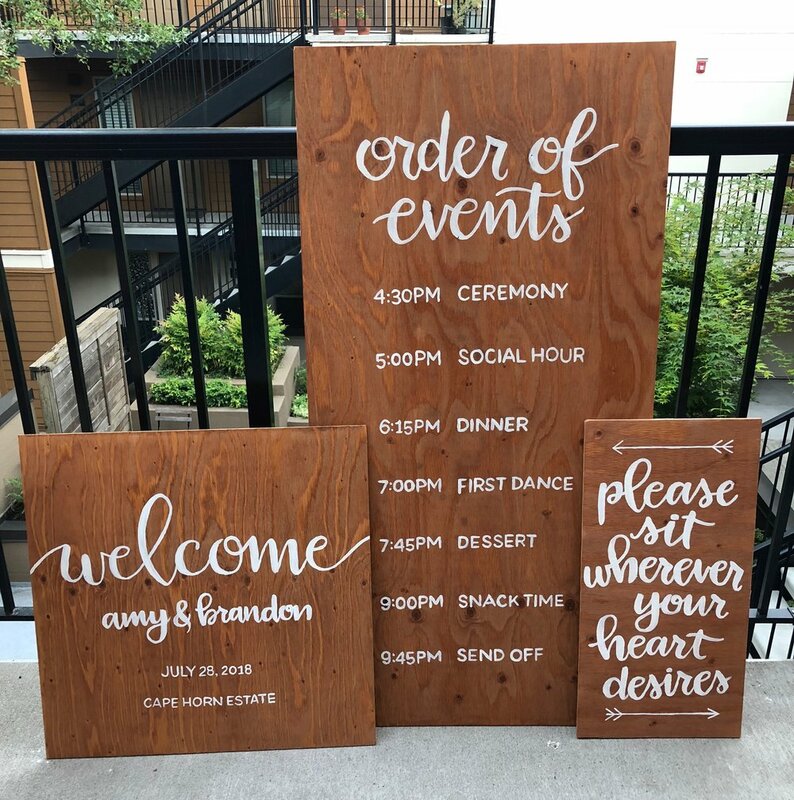 Amy and Brandon reached out when they needed signs created for their outdoors wedding. They wanted something graceful and elegant. I sketched out the look and feel, and the couple stained and cut the boards themselves.